Sting isn't ready to die anytime soon because he still has "work to do". The 65-year-old singer has been in the music industry for almost 30 years, and is currently working to promote his new album 57th & 9th. One of the tracks on the record, entitled 50,000, explores the idea of mortality in the wake of the deaths of musical legends such as David Bowie, Prince and the Eagles' Glenn Frey this year. But Sting insists that while he is not afraid of passing on, he's not ready to at this stage in his life. "There's a child in all of us that looks at cultural icons and goes, 'How could they die?' Because we've invested this sort of godlike immortality to them," Sting told USA Today. "50,000 is from the point of view of someone who's been there watching his friends die and facing his mortality. Mortality is something that once accepted, it's not morbid. If anything, it makes your life richer - at least, that's the philosophy I'm developing as I speak to you. "I'm not ready to die at all; I've still got work to do. But an acceptance of it for all of us is a useful thing, because that's the reality." The rock star only recently finished his North American joint tour with Peter Gabriel, and will be heading out on the road again next February, 2017 on a three-month jaunt to promote his latest offering. 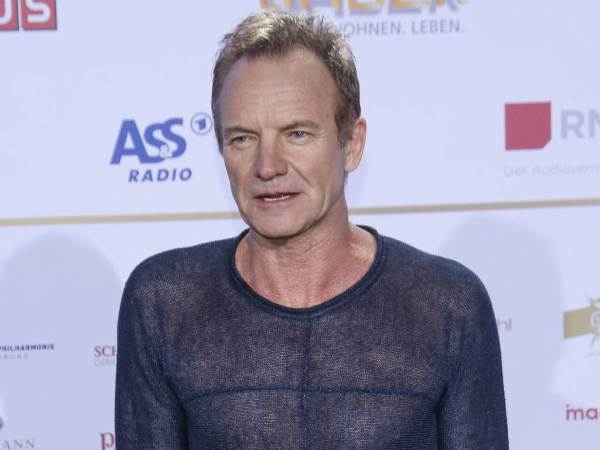 But while touring is an aspect of being a musician that many stars don't look forward to, Sting admits he loves that every day is planned out for him when he's on tour. "(Touring) is very regimented. One of the reasons I like it is because you don't have to do much thinking; it's kind of a holiday from the mind," he smiled. "Then when I finish touring, I have to face the blank page again."